If you’re anything like me you probably haven’t given much thought to pants since you were 13. My first pair of jeans felt unusual. They were inflexible, rough on the legs and absorbed rain like a sponge, but when I wore them out I faithfully replaced them with another pair of jeans that looked more or less the same. Then another pair. Then another. Perhaps, ultimately, this is the secret to the success of jeans. Jeans allow men not to shop. Not to trawl around countless stores, trying on new pairs of pants and learning what they’re all about. Let’s face it, shopping is a hassle, but if you’re serious about heading out on the trail taking the time and effort to learn about the various options available will be well worth it. The right pair of pants might even save your life if you run into trouble. Let’s go in search of the best hiking pants for men. Your hiking pants will be put to the test. Whether it be whipping winds, driving rain or freezing temperatures, Nature will do its best to find a chink in your leg armour. Yours might be tested even more from the inside, though. Our legs are powerful and impatient. As we stride along the trail our knees jut upwards and outwards and stretch the fabric that contains them. It takes 2,000 steps to walk a mile (1), so 10,000 times on a 5-mile hike your pants will have to stretch and regain shape, stretch and regain shape. That’s a lot of wear and tear without even mentioning the corrosive sweat that will attack them from the inside. What kind of features do they need to cope with these levels of duress? Let’s start with a warning notice: COTTON KILLS! "He was wearing all cotton, which is the worst fabric for cold, wet weather. The weather just got the best of him" (2). So said the Alaskan State Police when discussing the cause of a hiker’s death in 2005. Cotton can absorb moisture up to 27 times its own weight (3) and, worse still, loses its properties of insulation when wet. If you wind up soaking wet and freezing on the trail you’ll be in big trouble so avoid buying cotton at all costs! Synthetic materials like nylon, lycra and spandex are a better bet. They are often blended together to maximise their individual capabilities and to construct pants that absorb less moisture and dry quicker than less specialised materials. Comfort is key for any piece of clothing but doubly important on the trail. Pants that are too tight on even one area of your leg can lead to chafing. Pants that are too baggy can lead to folds in material that can also irritate the skin, flap about in the wind or, even worse, allow wind to enter them and “air condition” your legs. Probably not what you want if you’re hiking across a glacier! A gusseted crotch performs a similar role around your nether regions - an area that can be quick to rip on poor quality but definitely isn’t somewhere you want exposure! Thoughtco also note that the “greater-than-usual range of motion” they will have to perform “mean you should put your hiking pants to a few extra tests” when trying them on in store. Check out their guide for information on the kind of movements you should do to quickly gauge the suitability. Better to discover a pair that aren’t right for you in a fitting room than the slopes of Mckinley! A well known challenge of hiking is finding a clothing balance that allows you to cope with fluctuating temperatures and the sweat you can build up through exertion in even the coldest weather. Since you don’t want to end up soaking them and leaving yourself vulnerable to chills when the temperature cools it’s best to add breathability to the “specs” we’re seeking. Some even boast zip-off legs, enabling trekkers to convert them into shorts for increased breathability in hot conditions. Protection from the sun may seem like a surprising requirement but if you’re hiking at high altitude it’s something you’ll want to consider. At 8,500 feet you’re exposed to 60% as much UV as at sea level (4) so picking a pair of pants with a high UPF (UV protection) rating would be a smart choice. Hiking pants that are windproof or water resistant have a more obvious appeal. Full waterproofing isn’t a common feature (“hard shell” waterproof pants play this role) but a little bit of protection against the rain will allow you to walk through a light shower without having to stifle yourself beneath waterproofs. Of course, no pair of pants are going to protect you from anything if they rip or begin falling apart at the seams when the going gets tough. Durability is a key requirement of hiking trousers so keep an eye out for reinforced stitching and stretchable fabric tested to resist strain. Now we know what we’re after let’s get down to the nitty gritty: sizing up the available gear. Are there any on the market that are sturdy, breathable, sun and wind-proof and made from materials that can cope with a bit of moisture without negatively impacting our bodies? First up are a pair of pants that signal their intent by including the words “outdoor” and “tactical” in their name. That sounds like serious stuff! Surely we’d all like to think of ourselves as tactical, outdoor adventurers! Of course, if a pair of pants are going to go with such a ballsy name they’ll need some substance to go with their strut. The composition of the pants - 93% nylon and 7% spandex - is a good start. The materials are tough, quick drying and reinforced further by a Dupont Teflon coating. Crucially, they are also breathable and actively act to wick moisture away from the skin. To top it all off the fabric is designed to stretch in four directions to create a “slim look with an increased range of motion without unnecessary stress on its seams” - in other words, the precise close but not constrictive fit we’re looking for. No mention of wind and sun-proofing. The first pair of convertible pants on our list come with zips just above the knees to allow you to switch them to shorts at a moment’s notice. How many times have you found yourself slugging up a hill and wished for the feel of cool air on your legs but decided it was simply too much effort to stop and dig about in your bag for a pair of shorts? You’ll never have that dilemma again with these pants! Their two-in-one function will also save carry weight on a trip so if you’re a lightweight hiker these may be the pants for you. Omni-Wick evaporation technology and a UPF rating of 50 add further value to the pants, providing the blend of protection and breathability you’ll need when you encounter the power of the sun on the trail. Pants that convert to shorts is the way forward! Imagine a world where all pants convert to shorts. Utopia! These Outdoor Research pants have been stretch-woven to allow for the strain hiking pants are placed under. 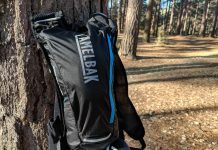 Their nylon-spandex blend is classed as “abrasion-proof” to emphasise its toughness and is also windproof, a feature that will appeal to hikers drawn to the tops of hills and peaks where the chill of the wind can be startling even in the summer. They come with a brushed tricot lining to enhance their comfort and have also been designed to fit smoothly under a harness so may appeal to those who like to combine climbing with their hiking. These are made with prAna’s patented “Stretch Zion” fabric - specifically designed to tolerate the various stresses and strains placed on fabric on the trail. Not only do the pants contain a gusseted crotch, one of the key comfort features outlined earlier in the article, but the crotch is ventilated. I think, as men, we can all agree that if there’s one area of our anatomy that needs more ventilation than the rest it’s the crotch! They also come with roll up leg snaps that allow for breathability further down the leg (though not as much breathability as with zip-off legs) and are listed as water-repellant. Ventilation in a key area is more than welcome! These North Face pants score an early bonus point for being convertible, with zippers above the knee allowing them to be converted to shorts at, ahem, short notice. They also provide a good degree of protection from the elements courtesy of a UPF rating of 50 and a DWR (Durable Water Protection) finish. A gusseted crotch is in place to allow for comfort and flexibility in an area that takes plenty of strain during hiking, while double-sewn seams are among the features that add durability. The fit in both modes have been questioned. Some have found the them a little baggy and the shorts too short - as in John McEnroe at 1970s Wimbledon short! Do we have a winner? It’s been a close run thing but the Columbia Men's Silver Ridge Convertible Pant takes the glory on a photo finish. As the trend towards lightweight hiking continues apace, the presence of detachable legs begins to feel like an increasingly essential feature. That extra bit of breathability could be a godsend and, of the two convertible ones on this list, the Columbia option was the cheaper and more comfortable of the two. The Columbia pants may have lacked windproofing, but none of the others on this list were able to deliver on the holy trinity of sun, wind and rain protection. Durable construction, breathability and a comfortable fit were the main prerequisites and the Columbia Men's Silver Ridge Convertible Pant delivered on all of these. Indeed, all of the pants on this list boast solid construction and either wicking or ventilating technology to minimise the build up of moisture inside. With the base rate performance so similar only the details differentiate them and, according to your individual needs, other ones on the list may appeal. If you’re seeking high-quality mens hiking pants you could certainly do worse than the five selected products. And if you find a pair you like just buy them again and again - like your jeans!